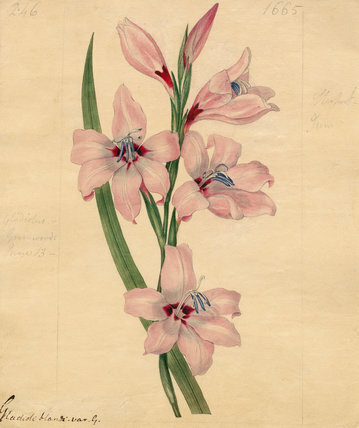 Watercolour on paper of Gladiolus carneus (painted lady) by Sydenham Teast Edwards. Identified as Gladioli blandi var. G by the artist, historically known as Gladiolus blandus. The original drawing commissioned for Curtis's Botanical Magazine plate 1665.